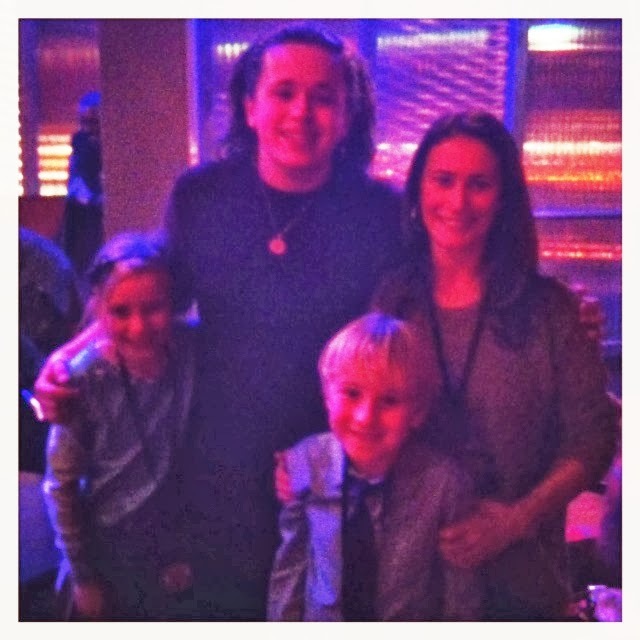 Last night we were lucky enough to be invited to the XFactor Live Tour in Dublin as VIP guests of Talk Talk. To say the kids were excited was an understatement. Kaya was particularly impressed with being swooshed passed the shivering queues and straight into the reception area in preparation of their meet and greet. Here they are waiting to actually meet the finalists - nerves and excitement in equal measures! They both had their list of top finalists they hoped to meet. 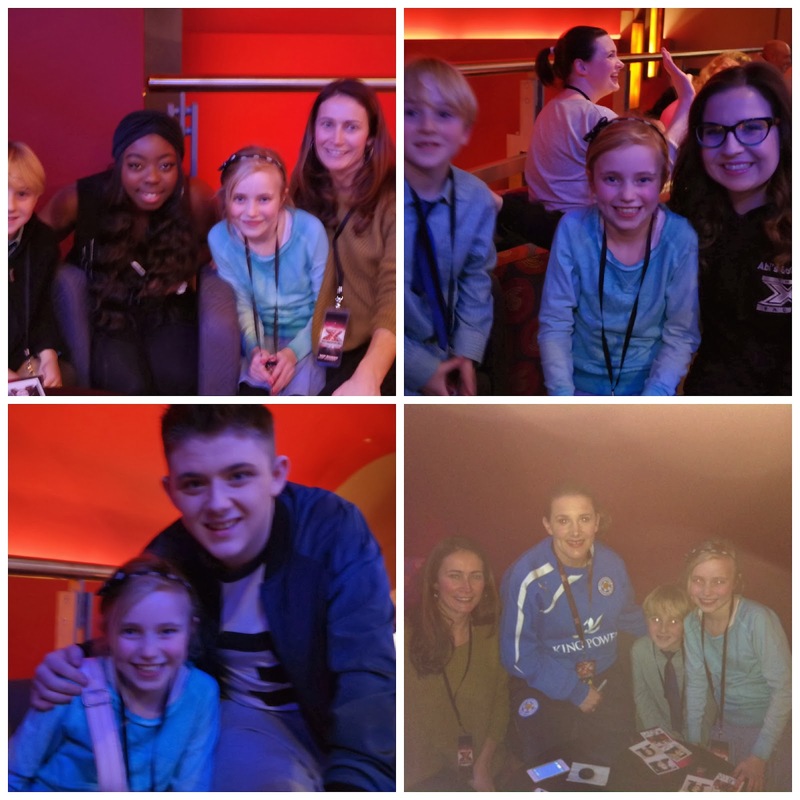 For Kaya it was Sam Bailey and Tamera, and for Marley it was Luke Friend and Rough Copy. They needn't of worried though - they got to meet each and every one of them. Fortunately even Mum got a cuddle with Luke, who seemed to be everyone's favourite. All of the finalists were incredibly nice and after posing for photos and signing autographs they were whisked away to prepare for the show. The consensus at the end of our meet and greet was that Tamera was gorgeous, Luke was lovely, Sam B was funny, Sam whatshisname was actually very nice, Abby was shy, Rough Copy were fun and Nicolas thought he was a little bit too cool for school (sorry Nicholas). After all that the kids were completely hyped up and we went to find our seats for the start of show. The first half was filled with solos from all the finalists except Sam Bailey who was held back for optimum build up. Then they finished up the first half with an all star medley. The view was amazing, even for the shorties, the sound was excellent, the stage and lighting impressive, the staff were lovely, and all in all it was the perfect venue for the kids first gig. Naturally as it was us the night couldn't go exactly according to plan though. One phone call later, before the second part started we were on our way to Tallaght Hospital where the youngest was being taken after a major episode of croup at home. Typical. So we missed seeing Sam Bailey, the star of the show. But even that couldn't dampen the night's excitement. The kids went away with big smiles, autographs and lots of photos of a night that will be in their memory for a very, very long time to come. Disclosure: I was sent VIP tickets to the show for the purposes of this review.